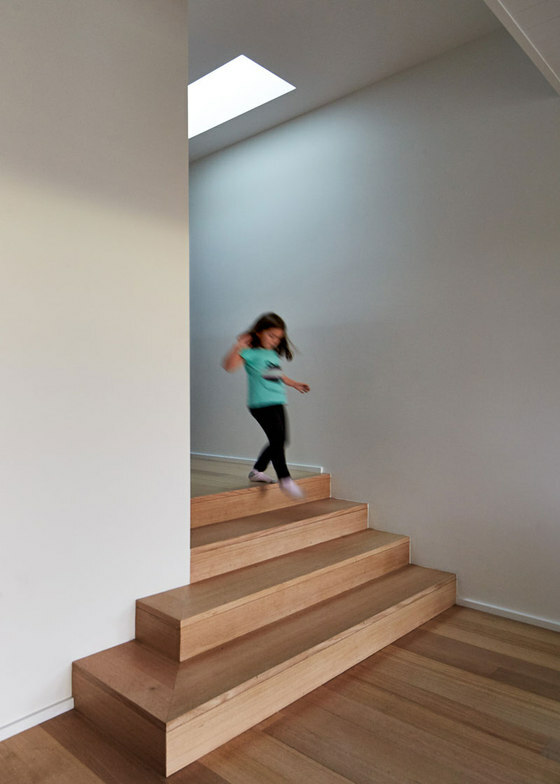 Located in Willoughby, Sydney, the Step Down House creates new connections to the expansive outdoor space by situating the new rear addition at a slightly lower, stepped down floor level. 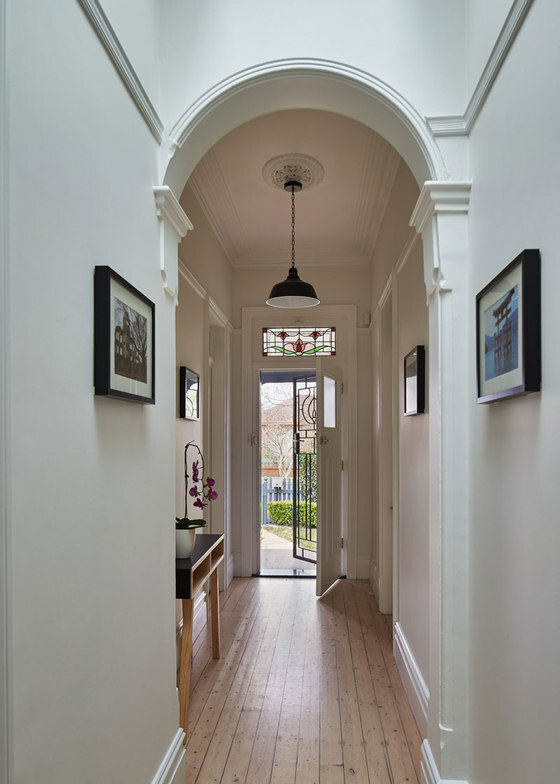 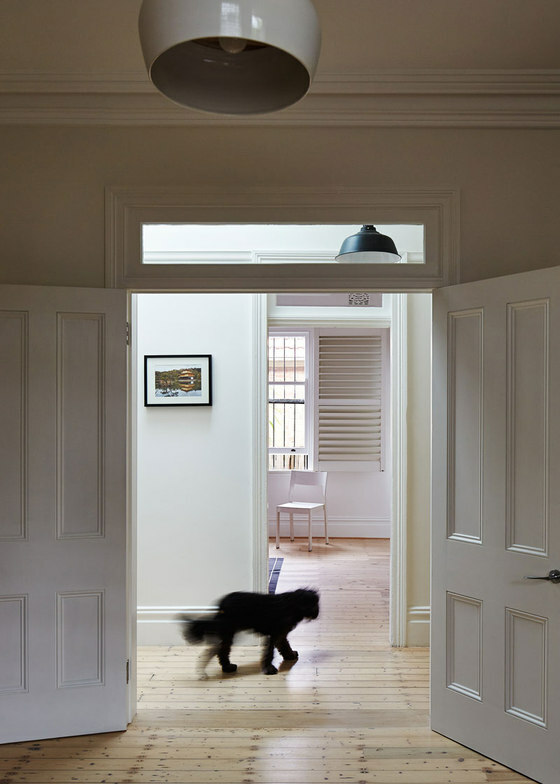 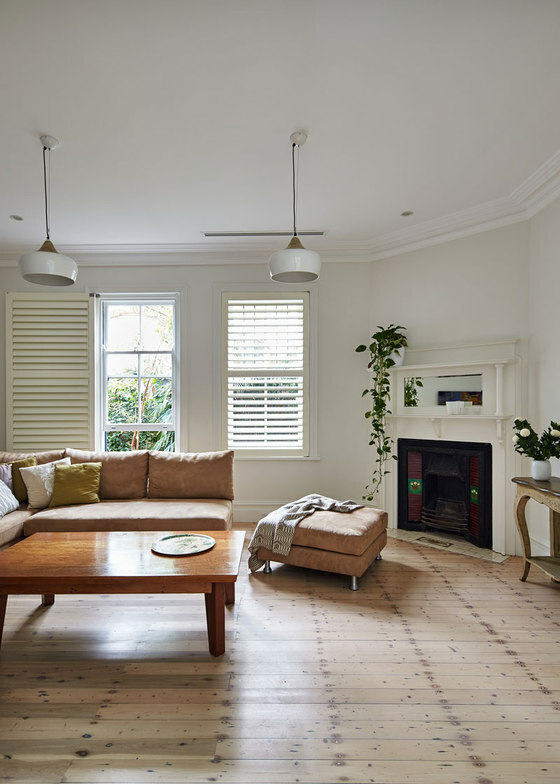 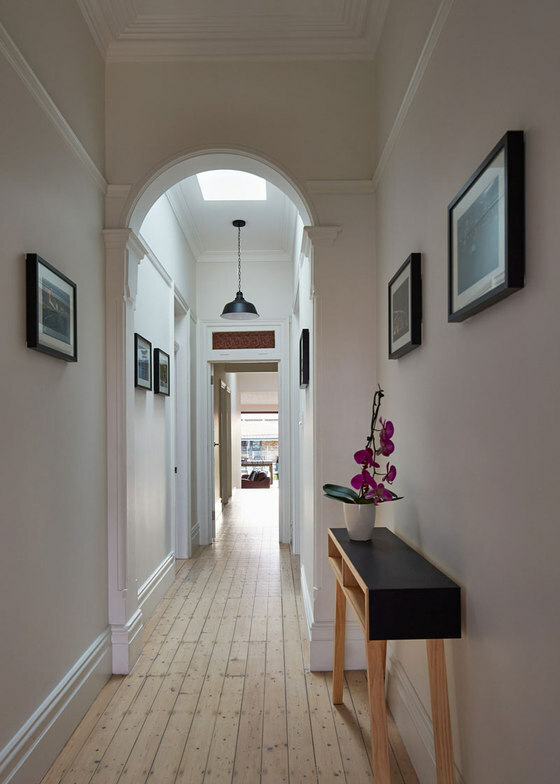 The original hallway broadens to connect the old and the new, becoming the hinging point of the house, fanning out into a generous open-plan living space. 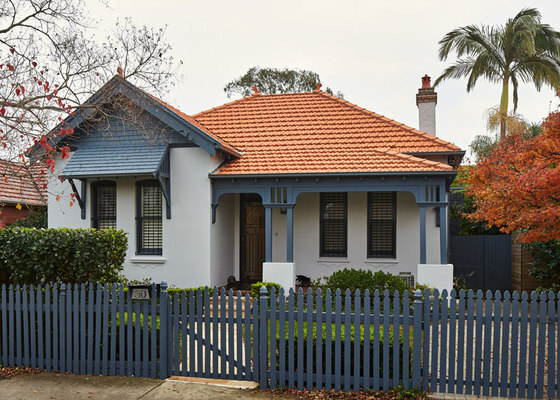 The original Federation 1910s dwelling has been renovated at the front, retaining the general room layout and refurbishing existing architectural features such as decorative timber posts and verandah fretwork, timber shingles above the front window and leadlight stained glass windows. 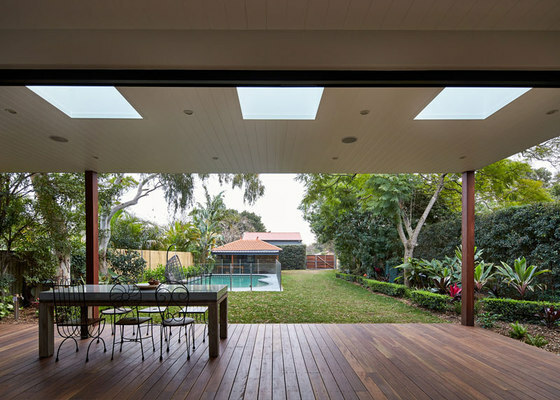 At the rear, the existing, poorly lit lean-to 1970s addition has been demolished, replaced with a new kitchen, dining and living area that opens up to a wide covered deck. 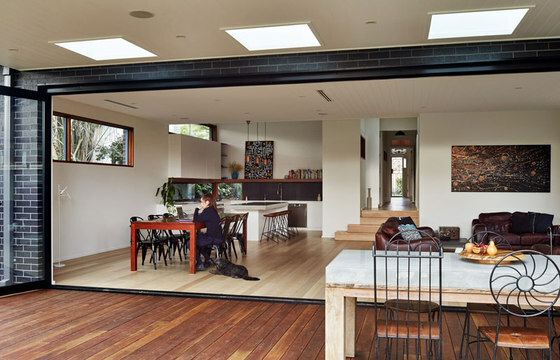 Whitewashed Tasmanian Oak was chosen for the flooring, lending a Scandinavian edge to the house, while bi-fold doors open the room completely to the outdoor timber deck, grass and pool beyond. 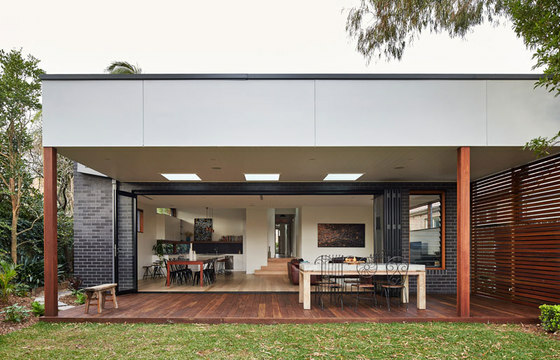 A clean, minimal approach has been taken to the design, with the wide parapet and door elements emphasizing the horizontal plane, while skylights in the decking roof create three visual punctuation marks. 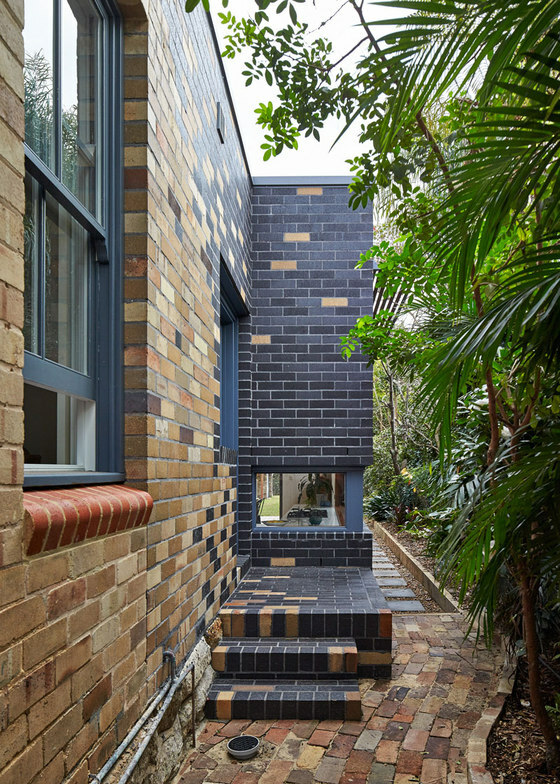 At the side of the house, the new black bricks and existing light brown bricks are arranged in an artful mosaic-like placement, repeated in the external laundry steps that form the meeting point of the existing house and the extension. 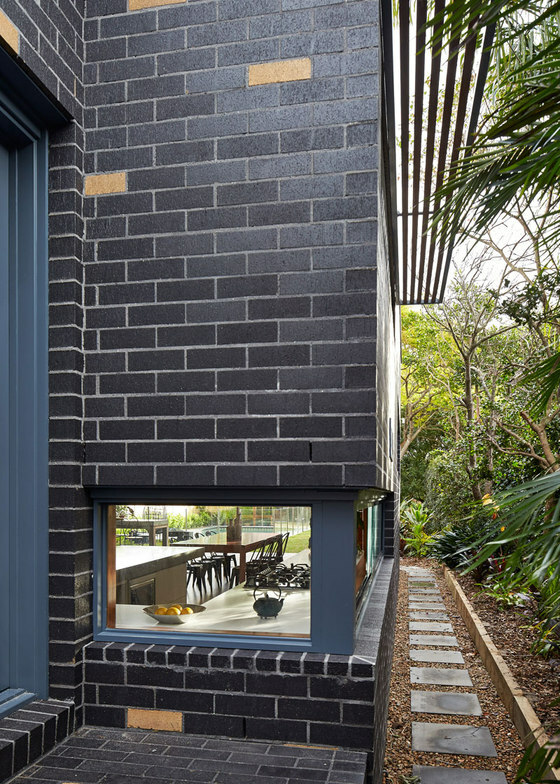 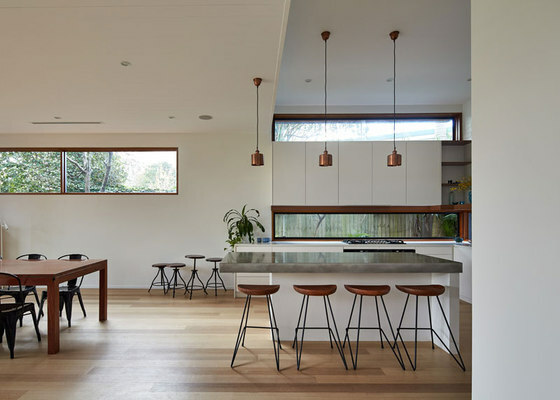 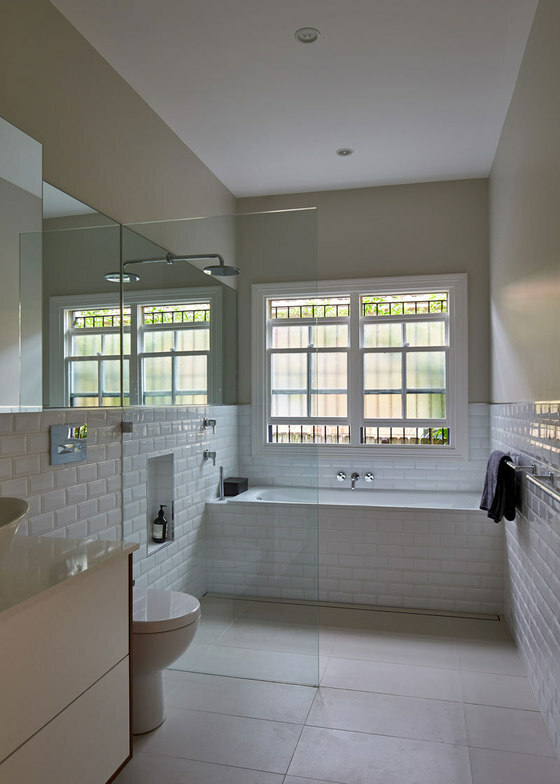 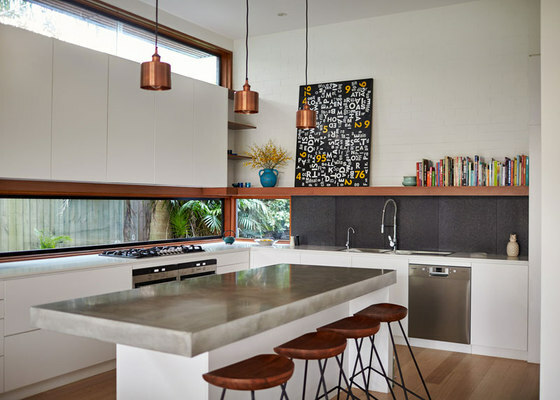 Inside, a long letterbox window has been used in place of a kitchen splashback, wrapping the corner of the room and carrying its slot-like proportions through the living and dining room windows to bring in light and reinforce a sense of simplicity.